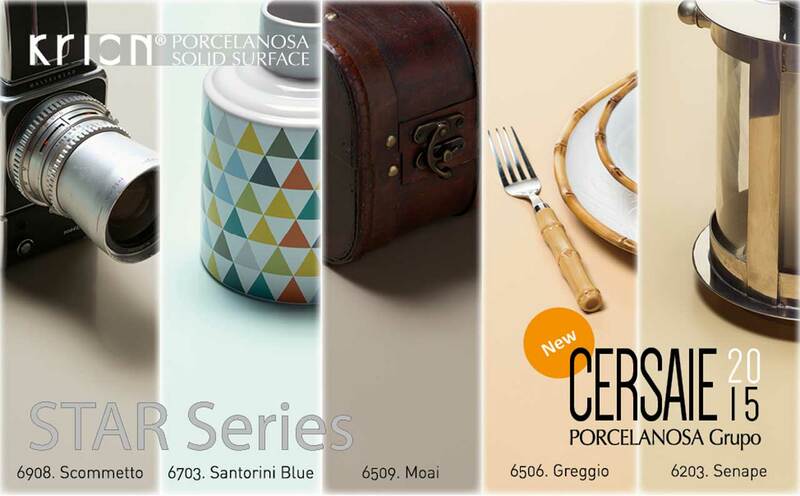 To continue with our brand new products, we present the COLORS series, 7 new pastel tone colours, which extend one of the most successful KRION® series. The COLORS series extends its chromatic range to match new trends in contemporary design and architecture. These colours are characterised by an exquisite smoothness, with the use of pastel tones, allowing the creation of very bright spaces which are welcoming and elegant.